Taking the undercover cop narrative a step further, Donnie Yen plays a cop named Detective Chen Zilong, a man so deep undercover that he has tattoos and has spent more years living as his alias than as an actual police officer. When his undercover operation is threatened from several predictable and unimportant plot twists, Chen is forced to pair up with a brave and experienced female cop (Jing Tian). More things happen and it leads to additional reasons for Yen to fight a bunch of guys. 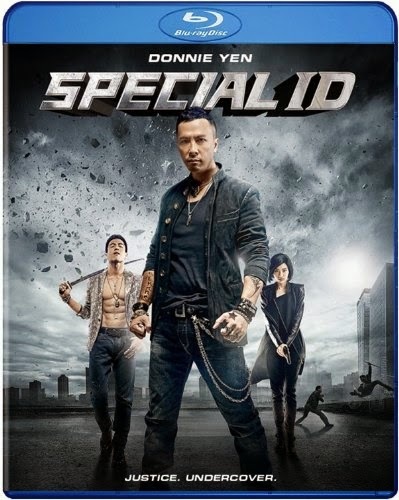 Although you could say that this film shares the same storyline as The Raid 2, it really wouldn’t be fair mentioning that film in the same sentence as Special ID. There are moments of enjoyable escapism amongst some of these scenes of action, but this film lacks any of the creative inspiration seen in The Raid 2, even if some of the photography has a more polished look. This is all familiar territory, and it feels like filmmaking churned out on a production line.